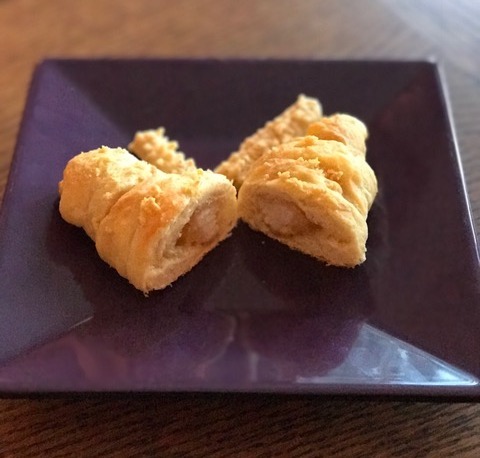 We love these easy to make Chedz Chicken Croissants for parties. This would be a great option if you have leftover Chedz chicken. 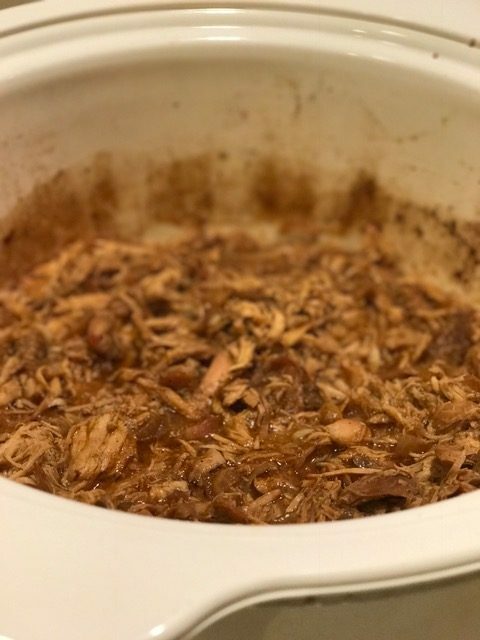 Reference the Chedz Chicken recipe on this site and you are half way done! If you do not have leftover Chedz chicken, follow instructions from: http://chedzsnacks.com/portfolio-item/chedz-chicken-bites-courtesy-of-carey-angerer-san-francisco-ca/ Reserve leftover Chedz crumbs for topping if desired. Either spray a baking pan with cooking oil or line with foil. 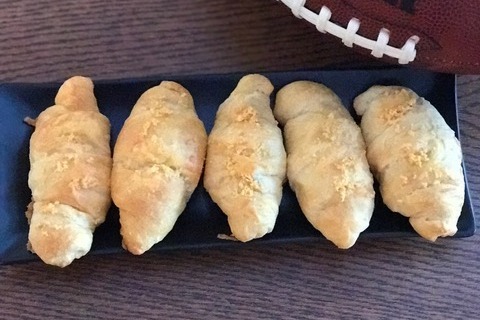 Unroll Pillsbury™ Refrigerated Crescent Rolls into the 8 pre-cut triangular pieces. 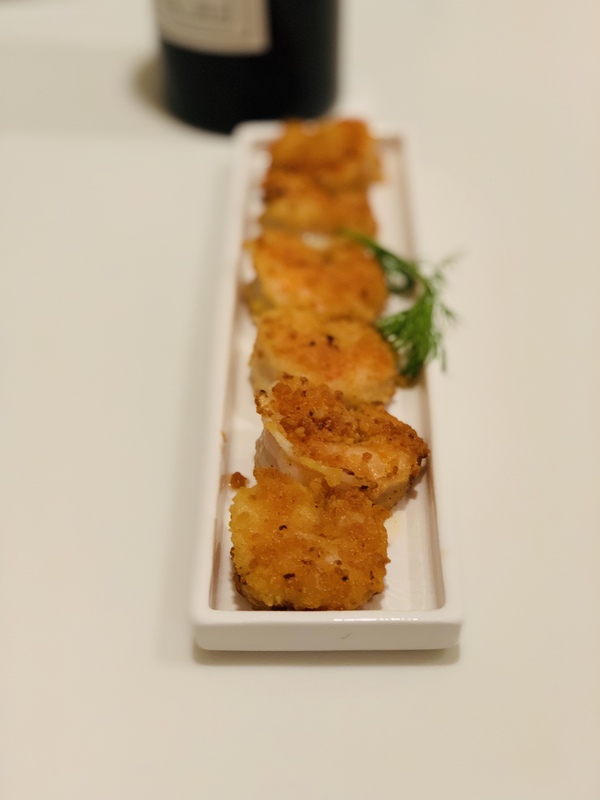 Cut Chedz chicken into 8 small strips. Put a strip of Chedz chicken on the base (long end) of the triangular dough. Top with shredded cheese. Roll the dough around the chicken into a croissant shape. Twist the ends to seal. Add the optional Chedz crumbs on top of the croissant. Sprinkle shredded cheddar cheese on top. Repeat until completed with all rolls. Put the rolls on the baking sheet without touching. Bake in the oven for 9-12 minutes. 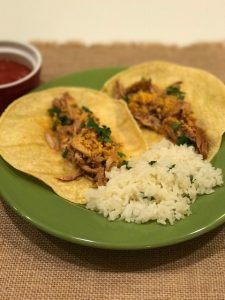 Here is another quick and easy party idea that requires just 3 ingredients and no measurements; just purely to taste. 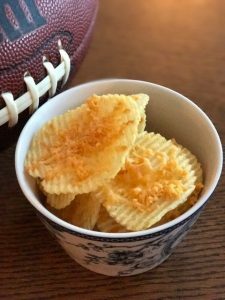 The Chedz crumbs adds a great texture and taste to any potato chips and can liven any party such as the Super Bowl, game days or fun celebrations. 2-4 Ounces Chedz (Any flavor) Crumbs This equates to 1/2 or 1 bag of Chedz. Use more or less depending on desired batch. Lay chips on the baking pan without touching. Crush Chedz into fine crumbs with a rolling pin, food processor or Magic Bullet. 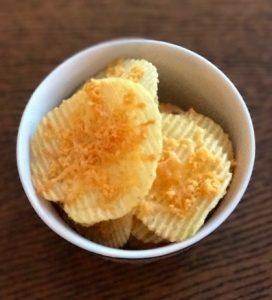 Top each chip with Chedz crumbs. The amount will depend on how large the chips are so it can range from 1/8 to 1/4 tsp but it can be done to taste. 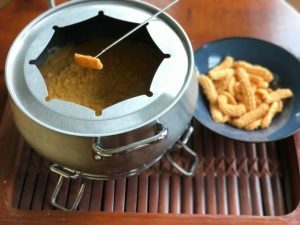 Top each chip with shredded cheddar cheese (or cheese of choice). The cheese on top will help hold the Chedz crumbs down. 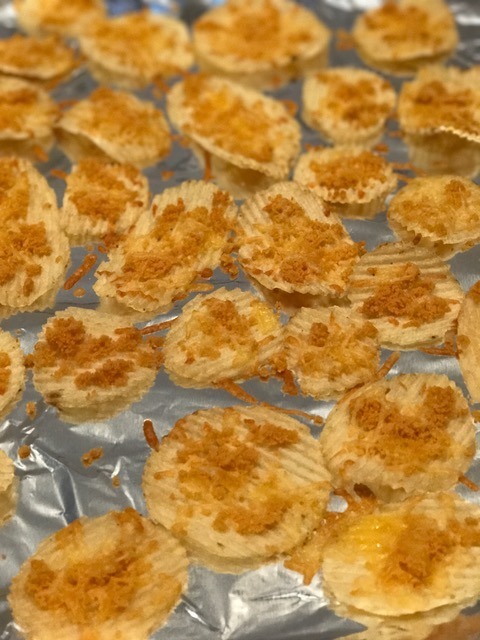 Similar to the Chedz crumbs, the amount of cheese will vary per chip size and by taste. Bake in the oven for about 3-5 minutes until the cheese has melted. Take out and let crisp. Chedz chips are best eaten on the same day as the chip can get soft after day two or three. Want to add a festive appetizer for Thanksgiving? 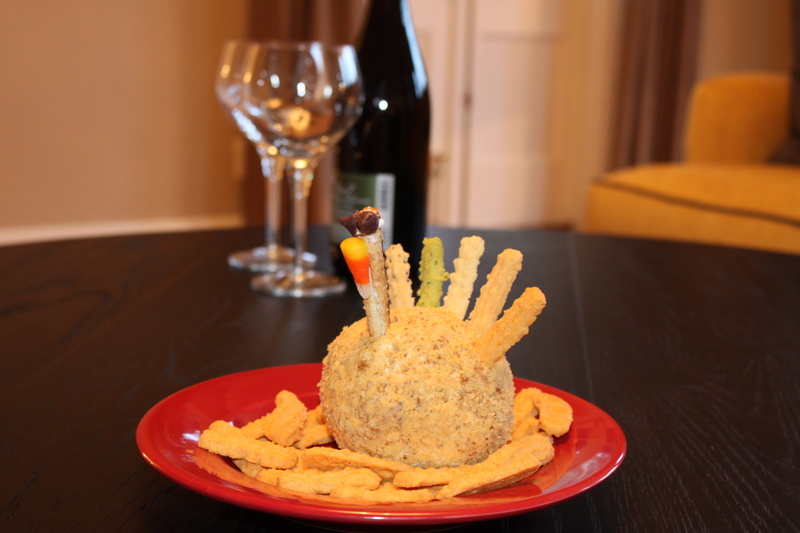 Try our simple Chedz Turkey Cheese Ball recipe. Kids can have fun decorating the cheese ball. This cheese ball was inspired by the following recipe on All Recipe Cheese Ball 1. Chop pecans (you can also put in food processor). Toast chopped pecans in oven at 275 degrees for about 10 minutes watching it closely so it doesn't burn. Set aside for later. Crush Chedz into crumbs (you can also put in food processor). Set aside for later. 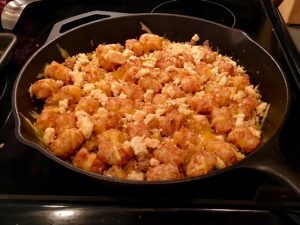 In a large bowl, mix together cream cheese, Cheddar cheese, and dressing mix. You can also mix in a food processor. Form into one large ball or two smaller balls. Take the cheese ball out of refrigerator and shape. Roll in the chopped pecans. Then roll in the Chedz crumbs. Decorate the cheese ball. -Put the pretzel twist in the ball as the neck -Using spare cream cheese, dip chocolate chip pieces to make the eyes -Using spare cream cheese, dip candy corn to make the beak -Using the Chedz sticks, make the feathers -Using the thin pretzel sticks, add the additional feathers ENJOY! Bake 20-24 tater tots in the oven at 400 degrees for about 18-20 minutes. Sautee onion in a skillet until cooked. Add ground beef or turkey and cook until done. Add 1/2 cup taco seasoning and 1 cup of cheese to meat mixture and mix. Crush Chedz into crumbs consistency with a rolling pin or food processor. Add tater tots on top and sprinkle with remaining 1 cup of cheese. Sprinkle with Chedz crumbs. Bake for 15 minutes in the oven until cheese is fully melted. ENJOY! This recipe will make a crunchy batter. 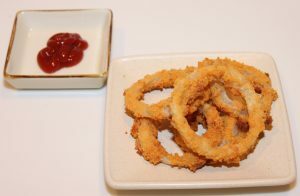 This crunch batter recipe was adapted from: http://www.foodnetwork.com/recipes/jeff-mauro/oven-fried-onion-rings-recipe.html For a softer batter and lower carbs, see below adapted by Hall Brands. Preheat oven to 400 degrees. Place parchment paper on one baking sheet and set aside. Combine the flour and salt. In another bowl, whisk the eggs and buttermilk together. Add half of the flour mixture into the buttermilk and mix until smooth and thickened. Crush the Chedz into crumbs consistency using a rolling pin or food processor. In a separate bowl, combine the Chedz, olive oil and remaining salt. 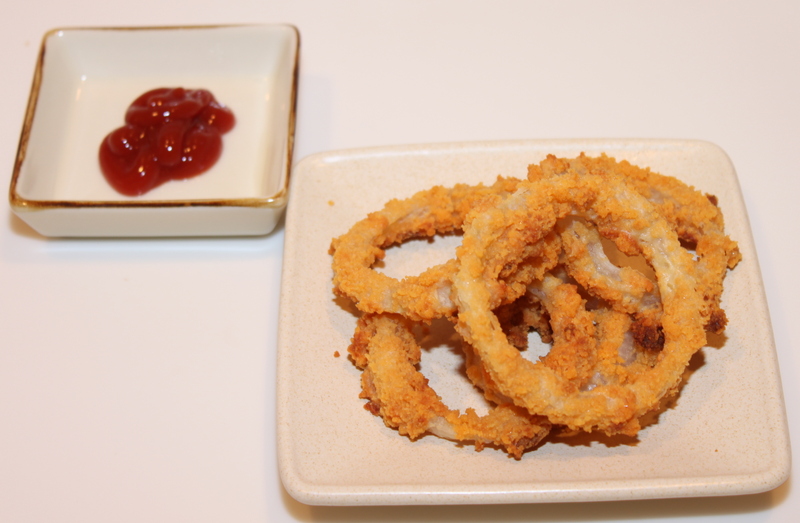 Lightly and carefully dredge the onion rings in the flour, then buttermilk batter, and finally the Chedz mixture. Arrange on the baking sheet in a single layer. Bake until golden brown, watching carefully to ensure that Chedz crust does not burn; about 10-15 minutes. INSTRUCTIONS: 1. Crush the Chedz into crumbs consistency using a rolling pin or food processor and put in a bowl. 2. Add salt to Chedz crumbs. 3. 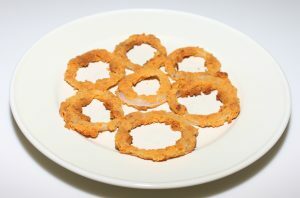 Place cut rings in a bowl and add 1 TBS and mix. 3. Put oiled onion rings in the Chedz crumbs mix and carefully stir. Pat loose Chedz crumbs onto rings. 4. Place each ring on the baking sheet. 5. 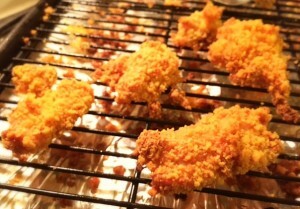 Bake at 400 degrees for about 10-15 minutes; ensuring that Chedz crumbs do not burn. ENJOY! Preheat oven to 425 degrees F (220 degrees C). Spray 1 baking sheet with cooking spray. 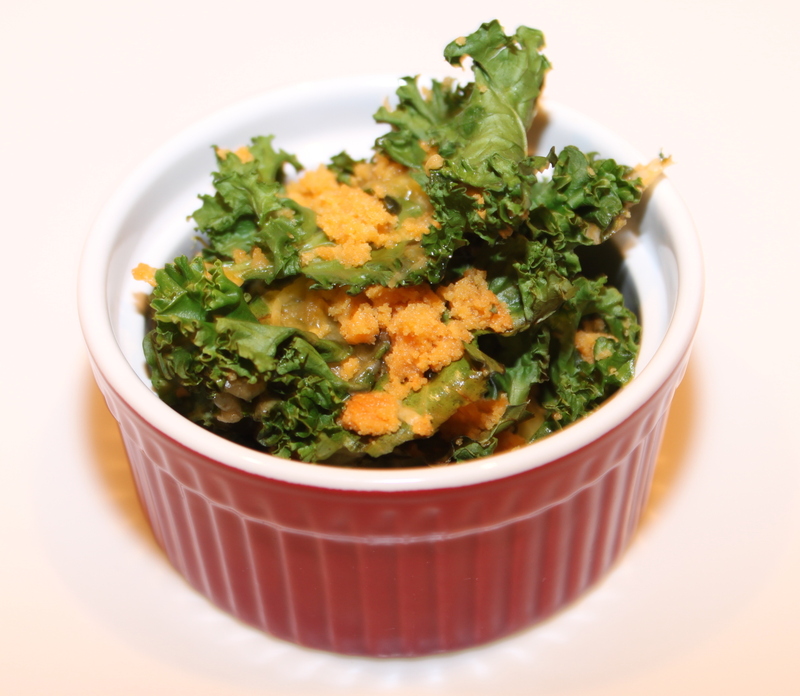 Remove the stems and ribs from the kale, and shred the kale very thinly into chip like pieces. Spread the shredded kale onto the baking sheet, and sprinkle evenly with Cheddar cheese. Sprinkle Chedz crumbs evenly over kale pieces. Bake the kale for 10-15 minutes, watching carefully to prevent burning, until the kale is crisp and the cheese has melted. Mix egg wash ingredients. Add chicken pieces to egg wash and let soak for at least 20 minutes. In a plastic zip bag, crush Chedz crackers with a rolling pin, food processor, or wine bottle! 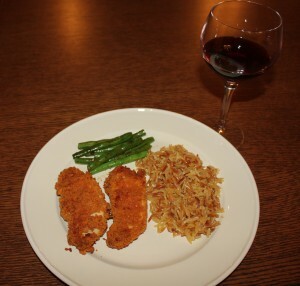 Coat each piece of chicken in Chedz crumbs. Line a baking sheet with tin foil and place a wire rack on top. 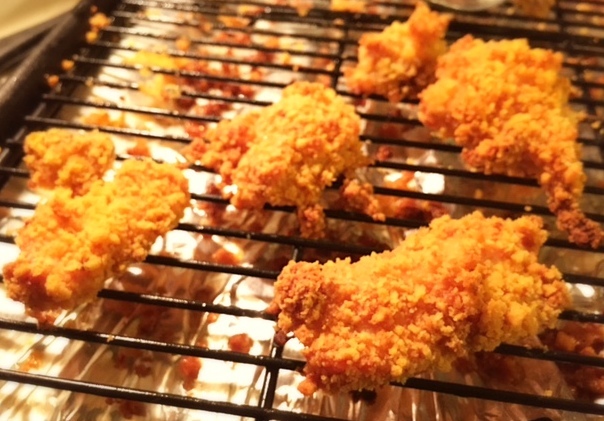 Arrange each piece of coated chicken on wire rack ensuring that they do not touch; use two racks if necessary. The wire racks help to ensure crispness on all sides. Bake for 35-40 minutes or until golden brown. Enjoy with your favorite bottle of wine!